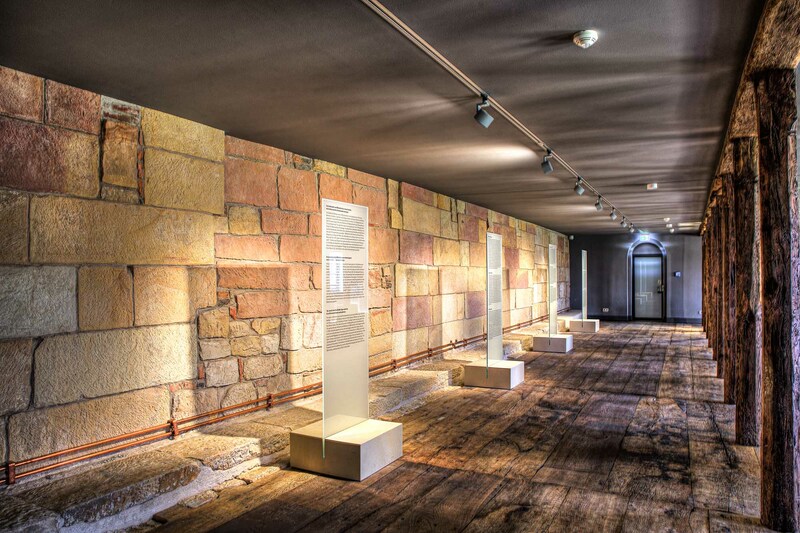 Coins from the Princely Collection, which were minted and used as means of payment at the end of the 17th century in the county of Bentheim, are shown under this title in the former warehouse area of the Marstall (royal stables) building. The highlight is the first exhibition of the "Golden Cup of Gölenkamp" in the county of Bentheim. This was found around 1840 at Gölenkamp and was acquired by the Prince of Bentheim and Steinfurt. In addition to three historically spiritual books from the Princely Library in Steinfurt including a translation of the Bible into the German language from 1485. From the museum, continue to the battery tower.